When you are a child, you barely understand what is good and what is bad for you; you tend to pick up different things from the things that you see on the Television screens. Moreover, if something positively attracts you, you are bound to do that. However, sometimes, the things that you pick up from TV are absolutely threatening to your health as well as mind. 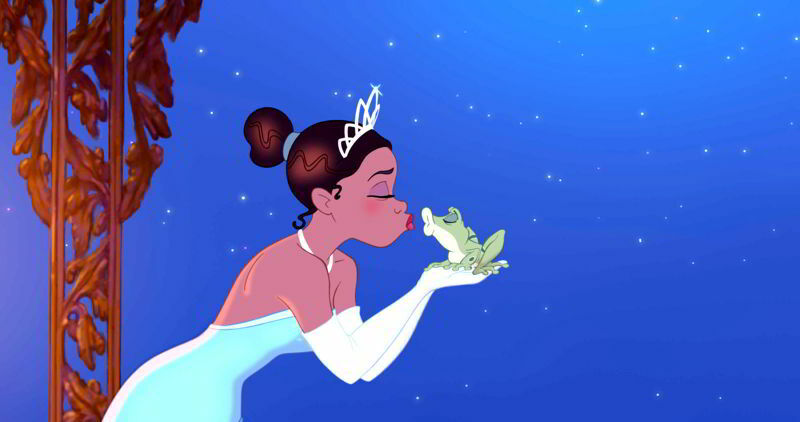 In 2009 Disney’s The Princess and the Frog movie was released for the little kids. No doubt, the kids enjoyed every single part of watching the movie, but there is just one part which negatively affected the minds of the little ones – Princess Tiana kissing the frog and turning him into a Prince with the magical touch of her lips! From that time, most of the little kids kissed their frogs, leading to an outbreak of salmonella poisoning. Since several kids fell ill, a research was conducted and it blamed the kissing the frog scene of this Disney’s popular movie. The medics have strictly warned the parents to keep their frog pets away from their little kids or make sure that they don’t kiss them! Senior epidemiologist at the Oregon Public Health Division, Bill Keene, said: “Don’t kiss the frog is maybe a good idea”, The Daily Star reported.